Thanks to the awesome recipes on the Weber Grills website, I came across this gem. I am always looking for something new and cool to grill and I have always wanted to venture into the grilling side of it. So after some research and hard debating in my head (there is a ton of good looking recipes), I choose this one. I changed a couple things, but sticked pretty close to what they said. Here is what I did. 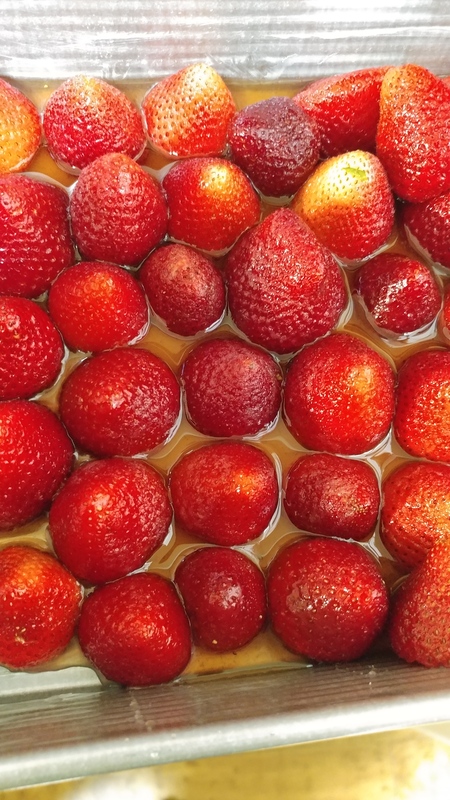 1 – I took 2 of the clear cartons of strawberries and I cut off all the ends / stems so they could sit flat in a 8 x 8 pan pointing upwards. 2 – In a Bowl, I combined 6 Tablespoons of Brown Sugar, 1/2 Teaspoon Vanilla Extract, and 1/2 Cup of Grand Marnier Orange Liquor and toss with the berries so they are all nice and covered. 3 – I took my 8 x 8 pan and coated the inside generously with butter. 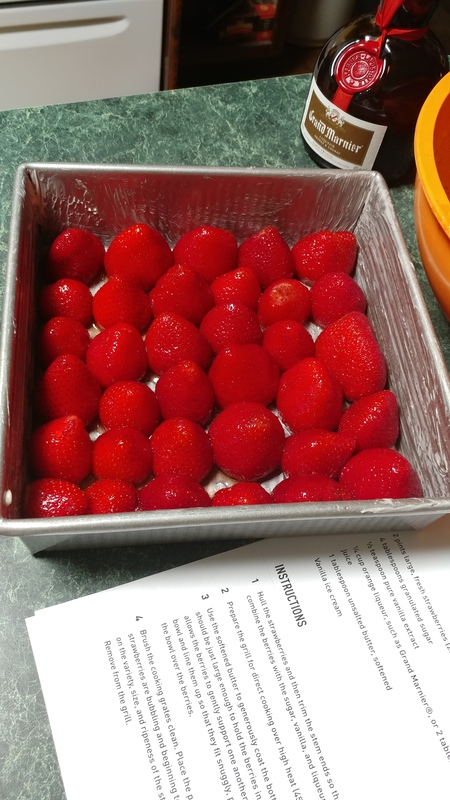 I then laid all my strawberries inside the pan points up. I poured the remaining mix over the top of the berries. 4. 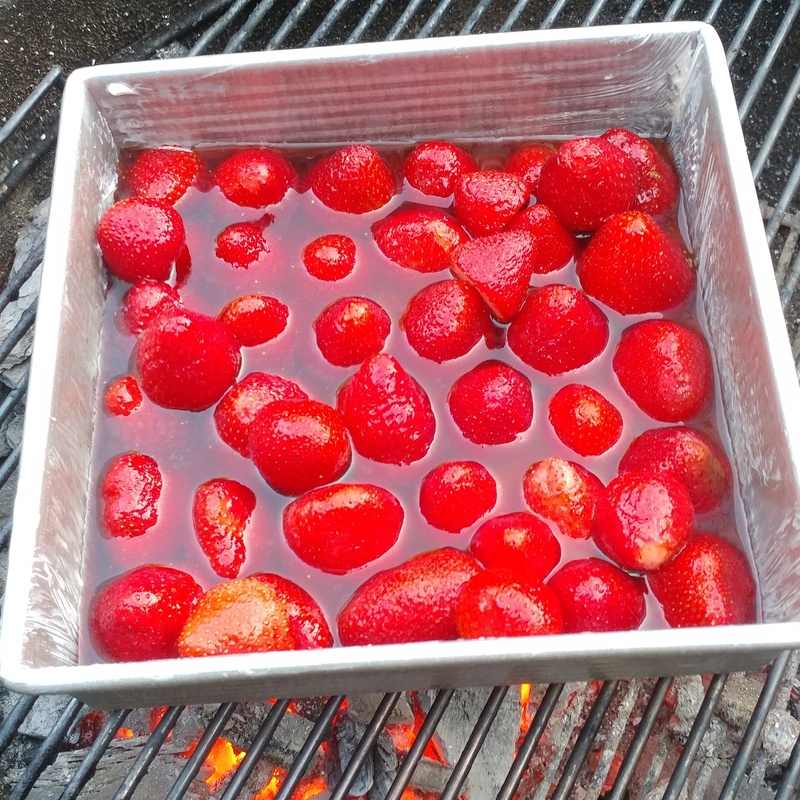 I put the pan right over the top to the hot coals and put the lid back on the grill for about 10 minutes or until the strawberries look like they are starting to droop slightly. 5. Take them off and spoon them over Vanilla Ice Cream and Angle Food Cake. Awesome Combo. 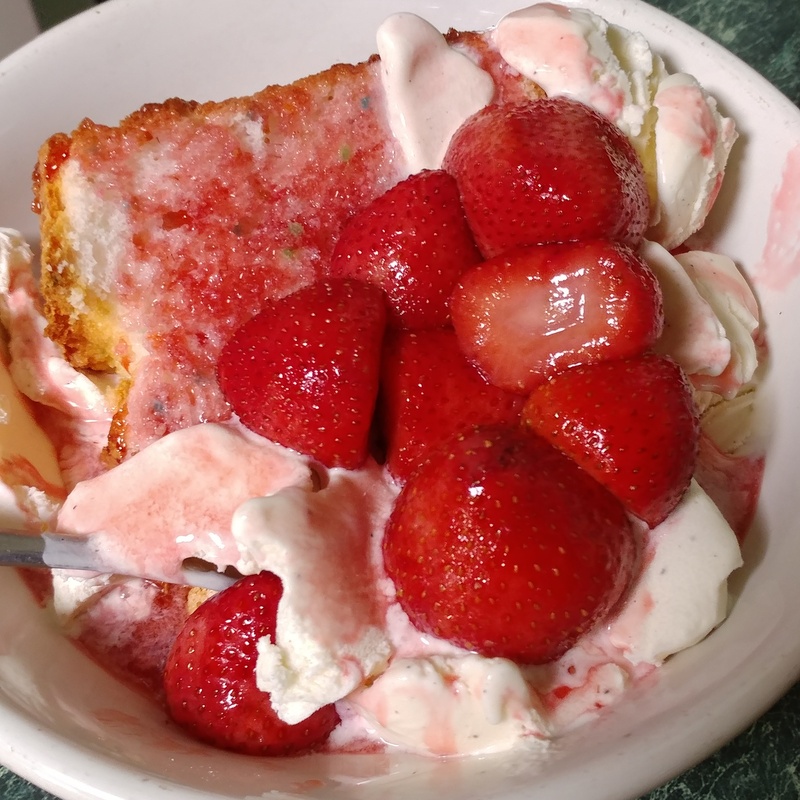 Great recipe for a favorite summertime dessert. Marinated berries over angel food cake (I would make a pound cake). Never thought to grill the berries… Love your dog by the way. We had a yellow lab too! Labs really are the best! By the way I have all of Weber’s grilling cookbooks, I get emails from them regularly, have a Weber grill and every recipe I have made is always good!!! Weber has never let me down! A fantastic well-flavoured strawberry dish! Waw! You know your sweets, too.